And that was 2013. Oddly enough, I have never counted the last day of the year along, simply because I keep thinking of all the things I want to do in the new year. 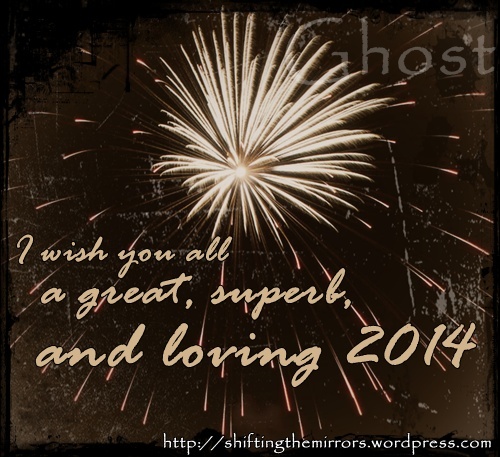 I find closure and closure is required for such a heavy year as 2013. There’s plenty set in motion for 2014, one of which being recording and writing the follow up to Sylvium’s “The Gift of Anxiety”. So far, one track is finished, and several other tracks are in the pipeline to be worked out by the band. I wish we could divulge a little bit more about the whole project, but for now I will only say this thing is becoming awesome! Nur Armata is gearing up for recording the songs we’ve written so far, be it for an EP or a full album. We’ve also begun looking for a keyboard player and bass player to finish the line up we require to play live. For any Dutchies reading this who are musicians themselves or know people looking for an atmospheric postrock/metal band, let us know. You can find us on the interwebs at http://nurarmata.nl/ (dutch website only). As for Ghost, I’ve had to make a bit of a sad decision: Given my lack of time ( considering I’m busy with Sylvium and Nur Armata), I’m not going to be able to release ‘Shifting Mirrors’ in 2014, as the plan was. Writing and rehearsing with both Sylvium and Nur Armata, plus the fact I have no backing band for Ghost, have pretty much made this a clear cut and indisputable decision. It will allow me to write, record and perform with both bands. That said, I will be recording “Shifting Mirrors” in the coming year, plus some extras to make up for all the delay to this project. I want this album to be noticed, to resound and leave a mark. I don’t feel I can commit fully to that without a backing band or with my attention with my other two bands. This is not a project I intend to hastily finish and release even faster. This is a project I take very seriously. – There will be extra music. Without going too much into detail, this could mean me covering tracks I love or extra b’sides to “Shifting Mirrors”. 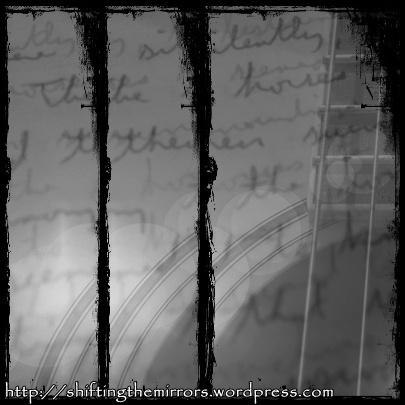 – I am currently looking into having several videoclips shot for songs on “Shifting Mirrors”. “Parting The Seconds” will definitely be featured should this plan work out, both financially and scriptwise. It’s quite funny that, although I’ve been writing my own songs for years now, I’m still amazed at how easy the new songs are coming together that I have been working on for Sylvium. ‘Coraline’ is proving the most difficult one of all and not because of the time signatures. The song has been experiencing a lot of trimming lately, as the only bit remaining is the beginning of the song, the rest has been removed ( but not deleted as they are great songs/bit in their own right). Whereas the song wasn’t a collection wibbly wobbly timey wimey solo’s and odd time and tempo changes, it’s now been changed from a body of work spanning around 9 minutes to a much more precise song with its verses in 11/8 and the chorus in 6/8. Although the verses are quite poppy, the chorus is where the power lies. The tuning of this song was changed from Drop D to Drop C, not because I wanted to sound all death metal like, but because it sounded amazing with clean sounds. If anything at all, it matured the song. I’m still due to write a bridge for this track, I’m pretty sure that’ll work out over the coming days! ‘Tool(s)’ is the heavy metal middle 8 section that was salvaged from ‘Coraline’ which will be worked out for something else. It’s an almost military rhythmic track in 7/8 with a harsh ending. So far, I’m liking it! ‘Bridge Burning’ is a funky rock tune in 6/8 I tried to add to ‘Coraline’ but it never really gelled for me. So right now, I’m looking as to where I would use such a piece. It’s the most Ghost-like tune I’ve got out of the bunch I wrote, so I might bag it for myself! ‘Lilypad’ is so far the quietest thing I’ve written in a while. Clean guitars with massive delays and some gentle keyboards going with it. Not sure where this track is going, to be honest, but it is sounding very good to me! ‘Wrong Side of the Reel’ is a new track which I began writing when the delay effect I had added to a specific guitarsound began to feedback. So far it’s almost like ambient space rock. I’ll be away for the holidays, spending it with my lovely girlfriend and our cat. For now, I wish you all a merry and happy christmas! A while ago I made a post on some of the equipment I would be using for live shows with Sylvium ( and also with Nur Amata and Ghost, when we’ve got some shows lined up). However, things went awry again as usual. Murphy, seriously dude, we have to stop meeting like this! 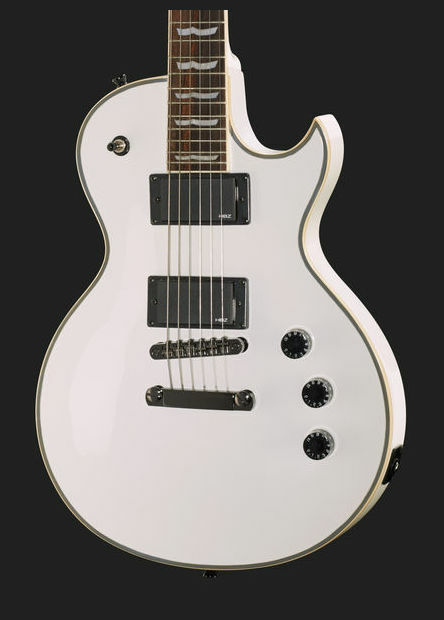 The Schecter proved a bad buy, as it was suffering from fretbuzz quite badly. I took it to my local guitar luthier who noted that fixing that guitar would almost amount to the total I paid for the guitar when I bought it. Bit of a shame, but the company where I bought it ( Thomann.de) were quite understandable about the issue and noted I could easily return it to their store for a full refund. So in all, a shame I couldn’t use the guitar in a live situation, but at least I’m happy to see that Thomann keeps up great service. So I went back to the drawing board to work out another cunning plan. 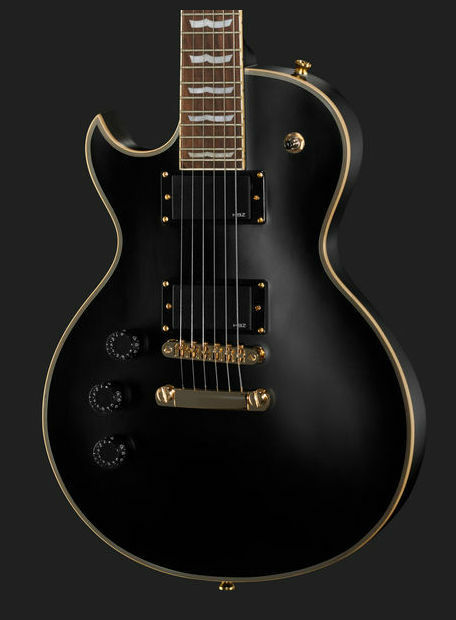 It’s a guitar I never thought I would’ve bought, but once I got it ( after a friend recommended it to me) I was happily surprised by the level of quality for the price! It’s a Harley Benton L1000-progressive. Coil tapping is impossible on this one, due to the fact it has active pickups, but for now it’ll do as a riffing guitar and occasional solo’s. It played absolutely lovely during the previous Sylvium rehearsal so I’m very happy with it! I’ve also purchased a second hand 6 string acoustic I can use for live gigs, but I’ve been unable to get any pictures of it yet, so I’ll get you those next time I make another gear-anorak post! Right now, I’m fighting my occasional bouts of GAS ( Gear-Acquisition-Syndrome) and just making lists of the stuff that I need for performing live and/or recording with my bands. A while ago I got this amazing Marshall MA50H with cabinet, which has proven to be a reliable amp during both gigs we did ( the second one I will write about very soon!). However, when confronted with the Bugera 333XL Infinium head and cabinet, I was blown away. It’s a bit thicker and fatter in tone than my MA50H, and delivers a whopping 120 watts instead of the 50 watts I now have at my disposal. So, I may trade said Marshall for the Bugera after having tried it myself. For now, though, the Marshall will stay where it’s at. Effectswise, I’ve noticed that with Sylvium the sound is just perfect at the moment, although I still occasionally tinker with the effects if I ( or a bandmember) notices that the sound is too loud, too quiet, not doing it’s job etc. The Boss GT-10 has been out of the box a lot the past few weeks and it’s proving to be a proper match ( soundwise, that is) with Ben’s Line6 POD HD. I did notice recently that the effectsloop on the GT-10 is broken sadly enough, so eventually I am going to have to replace that little bugger, most likely with a GT-100 as I like the Boss units too much. That’s the gear-anorak post for this time again, for now you all be well and rock on!